This alternative textbook for courses on teaching mathematics asks teachers and prospective teachers to reflect on their relationships with mathematics and how these relationships influence their teaching and the experiences of their students. Applicable to all levels of schooling, the book covers basic topics such as planning and assessment, classroom management, and organization of classroom experiences; it also introduces some novel approaches to teaching mathematics, such as psychoanalytic perspectives and post-modern conceptions of curriculum. Traditional methods-of-teaching issues are recast in a new discourse, provoking new ideas for making mathematics education meaningful to teachers as well as their students. Co-authored by a professor and coordinator of mathematics education programs, with illustrative contributions from practicing elementary, middle, and high school mathematics teachers, this book is a unique collaboration across all pre-college grades, making it ideal for teacher discussion groups at any level. 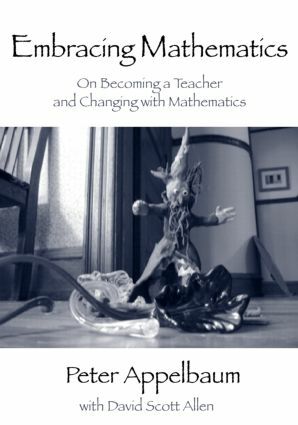 Embracing Mathematics is intended as a method text for undergraduate and master’s-level mathematics education courses and more specialized graduate courses on mathematics education, and as a resource for teacher discussion groups. AFTERWORD: What will You Write in Your Chapter?